Church of the Big Sky: Happy Bassover! 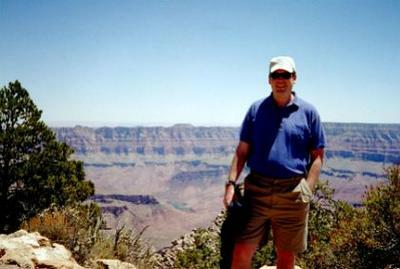 I know there is no Hell in Judaism. But I was raised Catholic, so Hell and all its associated images of pain, misery, and eternity as Wilbur-on-a-spit at Satan's pig roast run rampant throughout my brain. Remember the Big Mouth Billy Bass? Oh, of course you do - that damn fake mounted fish that sang "Don't Worry, Be Happy" or a variety of Christmas tunes at the press of a button. 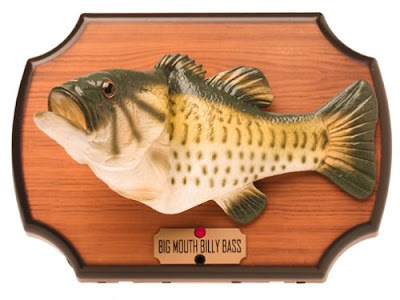 Having a good number of Jewish friends, I always felt bad around the holidays that the makers of the Christmas Big Mouth Billy Bass had not taken into account that there might be some Jewish kids who would enjoy cheap animated crap for the festival of lights. It would have been easy to do. Heck, there are people who have programmed Billy Bass with the voice of Bill Clinton, Richard Nixon, and Homer Simpson. I'm amazed no one considered the potentially lucrative Jewish holiday market! After all, it's not just Bubba Christians who love All Things Tacky! Bad taste knows NO religious, ethnic, or national limits! Program this baby to sing the Dreidel Song, and - BAM - a new holiday classic is born! How many people can really tell the difference between a bass and other fish? I know I can't! Wrap this sucker in a box labeled "Hanukkah Halibut" and you're golden! But why stop there? Judaism offers an array of holidays only rivaled by the Catholic Church. This guy could be repackaged for events throughout the year! "Papa, why is this fish different from all other fish?" On a lighter note... Purim Perch, anyone? "Huzzah, everyone! I'm Harry Potter! Expecto Patronum! Take that, Haman!" BTW, Wikipedia says there are an estimated 1,000 Jews in Japan. This might be a big hit as a specialty item. And, btw, a very good Passover to all my peeps celebrating with friends and family all over the world. I hope you got enough kosher Coke to sustain you for the next few days! My, those puns were truly dreadful, Merujo. Very impressive! I wonder why they never created a "Loudmouth Larry Lobster." Perhaps the manufacturers thought that would have been overly shellfish. Koi vey! That was one of the funniest things I've read in a while! Hilarious! And now I'm almost jealous I didn't grow up Catholic. Or Jewish. I just nearly spit my Coca-Cola Zero out all over my keyboard (not kosher coke - darn!!) I'll be bookmarking this post for whenever I need a laugh...I mean, the fish with sidelocks thing will never get old. I know the devil made you do it. Yes, you are going to hell and taking all the people who laughed at this with you. Well, at least you'll be in good company! And yes, I'll be there. You never cease to amaze me, Merujo!